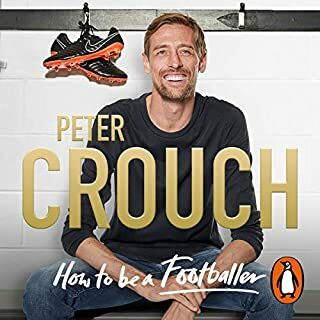 Joining us in the Audible Studios to talk about his new book, How to Be a Footballer, is professional football player and striker for Championship club Stoke City Peter Crouch. Capped 42 times by the England national team, scoring 22 goals for his country in that time and appearing in two World Cups, Peter Crouch is a household name in professional football and star of Championship club Stoke City. His new book, How to Be a Footballer, published in 2018. Nice little sneak peak into a great book narrated by the great man himself. 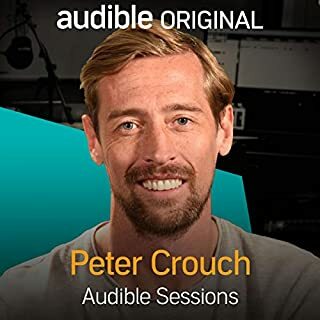 Check out the Peter Crouch Podcast if you haven't already. Unbelievably funny. Came here from the excellent Peter Crouch Podcast. So pleased Peter narrated,thoroughly enjoyed every minute. Back stronger!